From Monday to Wednesday or from Thursday to Saturday from 11.00 to 12.50. All courses will be activated with a minimun of 3 participants, anything less will convert to private lessons. 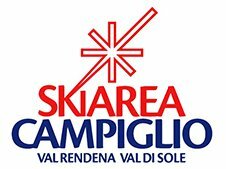 A day to discover the most beautiful SNOWPARK in Italy !!! Situated Just a few kilometers from val Mastellina, URSUS SNOWPARK is one of the better known location for snowboarding in Italy and for more than ten years it has been the destination for fans of Freestyle in Europe. The day is dedicated to people who already have a discreet capability of techniqus and who desire to discover the world of Freestyle. On Thursday, from 11.00 am to 16.00 pm. The minimum number of participants required to undertake a tour is 4.